Tumblr is a Microblogging and Social Networking site that encourages the bloggers, Community engagement and other entertainment. This platform allows users post text and other multimedia content to a short form of a blog (Microblog). Also, users can follow other blogs over Tumblr and also an individual can make their blog private (Not visible publicly). For bloggers, the website features were accessible from the dashboard interface.  Open Tumblr Website in your preferred web browser – https://www.tumblr.com/. If you are using mobile, then you can download the Tumblr App from Android and Apple Store. When you open the site, you will have two options in that like “Get Started” and “Log In”. If you already have an Account in Tumblr then you can click on login to enter into your existing account. If you want to create New Account, then click on Get Started.  Once you click on “Get Started“, you want to fill a form with the minimum details. No other sites request details less than Tumblr to create a new account. These are the very basic requirements to get started with the Tumblr Account. Enter your valid Email Id. Once after creating an account, you will receive an Email to verify your account. So, make sure you use the valid email id and you have access to it. There is no other alternative other than email id and also, you can’t activate the account without proper email verification. Enter your preferred password and you can also change it later. This is just to access your account and it will not be used anywhere else. Enter your preferred and Unique Username. It is a unique name required for each Tumblr account. This name will be visible publicly to other people and using which they will identify your account. You can try some unique name and a brand name which no one else has used it. You can’t choose the one which is chosen by another person in prior.  If you completed filling the details, then click “Sign Up“.  Once if you completed the Sign-Up, the page will request you to fill another two details. Enter your Age – You want to enter your age to confirm that whether you are eligible to access this site or not. In other sites, they will request us for the date of birth whereas here they directly ask us to enter the age. Accept Terms & conditions Checkbox – By marking tick on this checkbox, you accepting the terms and conditions of Tumblr. As we know that it is must for every website to have the proper terms and conditions along with other policy details. You can read the terms and conditions if needed.  Once you click on next, then you will receive a Spam Check. Click on the checkbox “I am not a robot” and follow the screen instructions. Once after completing the verification, you will be automatically taken to the next step.  Select your Interested Domains – Click or Tap to select your interest. Here you must choose at least or a minimum of 5 categories to continue. It is necessary to show feeds based on your interest and also you can choose maximum domains you like.  After choosing your Interest, you will be taken down to the Tumblr Blog. Now you want to confirm your Email Address.  To confirm the Email Address, you will receive an Email from Tumblr to your registered email id. Click on “This is me!” to confirm your mail id.  Once you click on that link, a new web page will open with a message as “Congratulations Now you’re a real user. …..”. That’s done. Now you have created & verified your Tumblr Account. These are the steps involved in creating the New Tumblr Account. If you want to directly move to the dashboard section of your account, then you can move to https://www.tumblr.com/dashboard. In Tumblr dashboard, you will have various options like Search Bar, Navigation bar, Feeds and option to publish the content such as Text, Photo, Quote, Link, Chat, Audio and Video. Using the Search Bar, you can check the latest posts in particular categories based on what you choose. For example: If you are interested in checking the business based contents then you can search for business. You can share, reply, reblog or like the posts that you want. These features were similar to other social networking sites. If you wish to explore the trending posts or the post while goes viral in Tumblr, you can easily check those by clicking on Explore. If you click on Explore it shows you why Tumblr is one of the best social networking platforms to share valuable information and interesting things similar to other networks. In the top you can see some additional filters for you like Recommended for you, Trending, Staff picks, Text, Photos, GIFs, Quotes, Chats, Audio, Video and Asks. While clicking on a particular section, you will be able to see the filtered content on the display. It is one of the unique and rich features which other social networking sites doesn’t have. Inbox is the place where you will receive the Questions, Fan Mail or any Submissions made on your blog. These things will be aggregated together into a single section as Inbox. During the start, you will not have anything in your Inbox and it will show empty with a message like “No messages to Display”. Messaging options is a chat system where you can text with other Tumblr Account. You also have a chatbot which recommends you the post, GIF and Juggle. It is not a well-developed chat system to answer all type of texts but it will entertain you by recommending the Post and GIF Images. 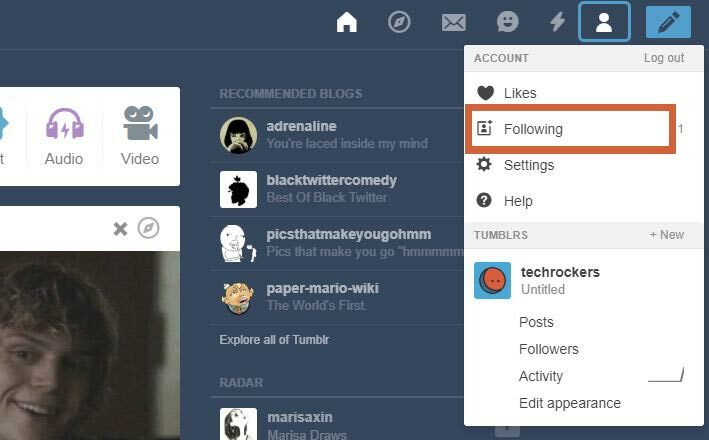 Activity is a notification area in the Tumblr Account. Check out this tab when you make a post to see Likes, Reblogs, and new followers. If someone reacts to your post by a like, reblog or something else, then you will receive it in an Activity Section of your Tumblr Account. An account is a place where you will manage your Tumblr Account. Number of Likes and Following count will be shown. It is not the number of followers of your account or blog, it is the number of accounts that you follow. Also, you can click on setting under your account to manage the Email Id, Password and other authentication processes. Even you can delete your Tumblr account if you want to reset it. Tumblr Blogs will also be shown under the Account section. 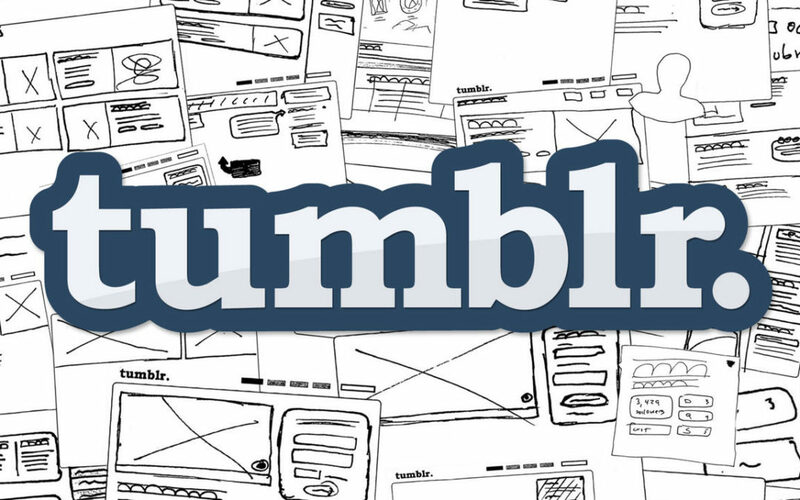 Also, if you want to add another Tumblr blog under the same account then you can create it here. It will have statistics and access to your Tumblr Blogs such as Posts, Followers, Activity and Edit Appearance section. Make a Post with a Pencil Icon indicates to update some content in your Tumblr Blog. Either it may be a text content, Photo, Quote, Link, Audio or a video. Even you can customize the display URL for your blog post and it doesn’t depend on the content. To know how to post in Tumblr Account, we explained it in below sections. A post will get viral or shows some positive reach among the people only with the help of interaction. If a person looks at a post which is very helpful or mind-blowing then he will interact with the post by sharing it or by clicking on like button. So his followers will get notified regarding his actions and they will react something by seeing the post. 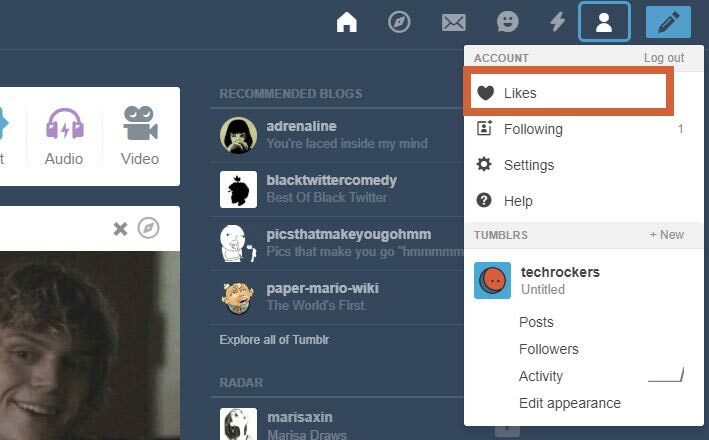 Once you log in to the Tumblr account, a dashboard is the Home page of your account. You could see the Home shaped Icon in the top(Navigation Bar) that helps to come back to the dashboard easily from any other interior pages. A dashboard is a place where you can see the latest post of your blogs and other blogs that you follow will appear. In your dashboard, you can scroll down to see various blogs that you followed from your Tumblr Account. You can check those blogs and also you can interact with a post through like, reblog, comment or send a message. At the top, you can see a search bar which helps to find the blog or post what you are looking for. For example: If you are searching for a “Business Ideas” then you will see the related blogs or posts below. Expressing the feel is the huge success of social media or networking sites. If you could see a very good post in Tumblr then if you feel to express it, then there is an option to like that post. The likes will have a count and it will get increased for a like from an individual account. Like icon will be heart-shaped. Just click on it to like that particular post. -> Before reblogging the particular post you can add some additional texts, comments to the post. So it will appear in your blog along with that post. -> Another interesting feature along with the reblog is scheduling. Even you can schedule your re-blog by clicking on the or ⚙️icon in the upper-right corner. Select the schedule option and choose the date & time on which it must be published. You can also change this later. -> To add the reblogged post to your queue, you can click on the setting icon and choose “Add to Queue” and select the queue. Adding your thought as a comment is the interesting feature to know how people feel about that particular post. This is one of the latest features and it makes the Tumblr Blog similar to other social networking sites. Just click on the Chat Like Icon and post your comment. Also, you can tag other people during your comment. You can share the post with another person using this feature. Under each post, you could see a paper plan shaped icon, just click on that to share a post through a direct message. Not only as a direct message, but you can also share the URL or else you can embed this post somewhere else over online using the code generated here. To get updates about a particular blog or a person in Tumblr, you want to follow them. To follow a Tumblr blog or an account, you want to click on the profile pic of the post and you want to click on the “Follow” option. 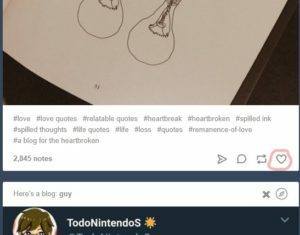 Log in to your Tumblr Account and in the dashboard, you could see a person-shaped silhouette icon in the Upper Right Side of the page. Clicking on that will take you to Profile’s Post section in Mobile and in desktop, you will find other options as a drop down. Click on the Likes shown on the Top of the dropdown. If you click on that, you will see the list of post that you have liked before. If you didn’t like any posts yet, then it will be blank. If you want to unlike a post which came by mistake, then you can remove it by clicking on the Heart Icon. In the Navigation bar below the Like option, you could see an option called Following. Clicking on that will show you the list of people who you follow on Tumblr. Even you can unfollow the profile at any time just by clicking on the unfollow button on the right of a user profile. Open the Profile menu in the Navigation bar and under that, you can see the Posts, Followers, Activity and Edit appearance. Click on the posts to see the list of posts published by you under that profile. This section will have all your posts and if you haven’t posted anything then it will be empty. Benefits of blogging is vast even if its startup or small business or a business of any scale. Sharing Knowledge through Blogs Shows Value. Get More Followers On Instagram in an Organic Way – The 8 Real Proven Ways to Build Your Instagram Profile Fast & Instantly but Not as Cheat. How Can You Increase your Twitter Followers Organically?